European University of Tirana (Universiteti Europian i Tiranes) in Tirana (Albania) hosted a Concentration meeting of SmartAl Erasmus + Capacity Building project on 29th January 2018. The principal objective of the meeting was designing a new training tracks to current and future territorial challenges in the aim of sustainability and territorial development analysing the needs of the current and future job competences. 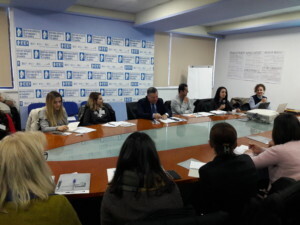 The survey which was based on snowball effect dissemination was done in two regions in Albania, Korce and Tirana. 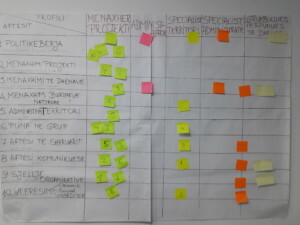 The survey composed of inverviews and questionnaires among interested stakeholders as a potential candidates for the Master. In Albania, public sector plays very important role of the economy (23%) but there is growing tendency of private sector involvement which should be represented in the survey sample. In the In case of time frame, we have to consider not only the current needs, but we may see what is not forseen in future (10-15 years) in regards of territorial development and agriculture policy. Also, we might see how wecan be inspired by global needs and which competences and skills are going to be needed for the territorial development in the world. 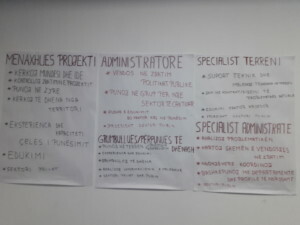 The main objectives of the SmartAl project is to address the new identified job market needs resulted by the new and forthcoming public policies in Albania. Specific objectives are mainly to strenghten the linkages between the universities and job provider institutions at central and local level. Furthermore, to improve the theoretical and practical knowledge of master students on territory administration, agricultural policies, rural development and innovations as well as their negotiation and participative decision making skills. The outcome of the project will be at least 9 shared specific teaching modules filling the gap between the existing offer and the market job needs. 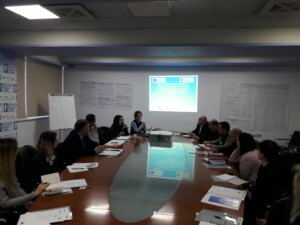 In SmartAl Concentration meeting participated project partners: Agrinatura, Universiteti Europian i Tiranes, Agricultural University of Tirana, University of Hohenheim, Universiteti “FAN S. NOLI” Korçë, Agrinatura, and local Albanian stakeholders and representatives of Fondi Shqiptar i Zhvillimit, Ministria e Bujqësisë dhe Zhvillimit Rural, Ministria e Infrastruktures dhe Energjise, Bashkia e Tiranës.